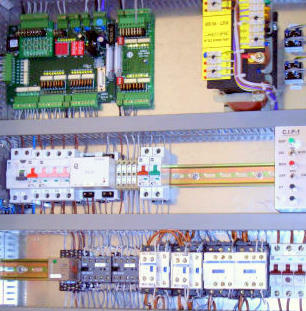 The Ultimate All-in-One Control system for Low, Medium & High rise/ High speed elevators. The UML-51r control system utilizes cutting edge technology to provide a versatile all in one solution for controlling all of your most demanding elevator projects from simplex low-speed low-rise lifts and up to seven high-rise high-speed elevators in a group. The UML-51r supports all drive systems Ac-2 speed, Hydraulic and regulated vf close or open loop with the same firmware and hardware. Now you can find an automatic evacuation application for MRL in the basic software.